Download this image (JPG, 63.1 KB). [02-May-16] Preliminary draft diagrammatic representation of the PACE Ocean Color Instrument (OCI) from 2016. 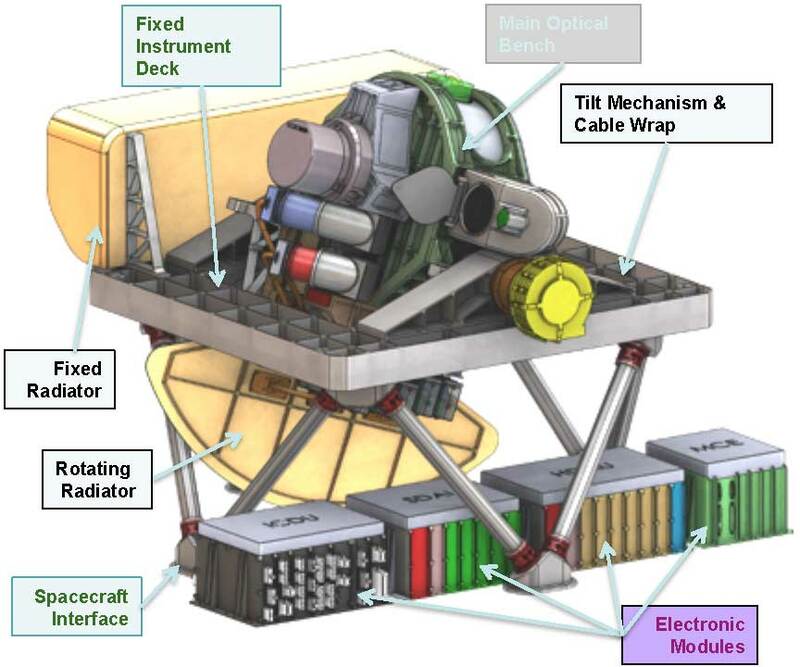 The OCI instrument will be designed and built by Goddard Space Flight Center. The specifications for the OCI include a single detector, with a rotating telescope scanner, a 20-degree tilt to avoid sun glint, and monthly lunar calibration of all science detectors. For more information on the OCI, visit the Mission page.